We all have our favorite ways to pass the time when we fly. Whether it’s finally reading that book everyone’s talking about, catching up on some sleep or being entertained by music and movies. In case you aren’t able to download all of your favorite shows on your cell phone or laptop you can turn to the airline’s inflight entertainment. With their selection of movies fresh out of the theater and hit TV shows you can still binge! But what if your particular flight doesn’t have TV screens onboard? Don’t worry, these days there are more ways to watch. 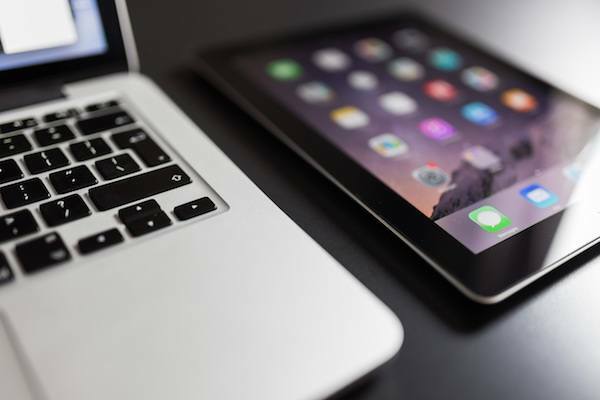 Knowing that our mobile devices are never out of reach when we fly, many major airlines offer access to their catalog of movies, tv shows, music, and more when you download their app. If inflight entertainment is at the top of your list when it comes to choosing a carrier we’ve got your guide on the Wi-Fi options, airline app perks and exclusive bonuses that these 6 domestic and international airlines have to offer. American Airlines’ inflight entertainment includes hundreds of new and classic movies, shows and music. Plus there’s live TV from over a dozen networks including Bravo, ESPN, BBC, and the Disney Channel. For Apple Music subscribers you can now log in and listen on any aircraft equipped with Viasat Wi-Fi. 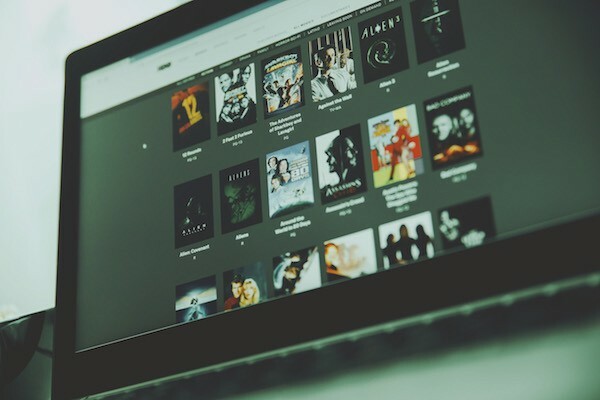 In lieu of streaming on your seat-back screen, you can stream the same inflight entertainment library on your laptop or phone without the need for Wi-Fi. Just download the American Airlines app. For those who prefer to browse the web and check emails, download the Gogo app and get connected with prices starting at $10 per trip. Get monthly access regardless of the internet provider on board for $49.95.If you book a seat in the premium Flagship class you can enjoy the American Airlines inflight entertainment through Bose Noise Cancelling headphones! The Delta inflight entertainment, or Delta Studio, includes a selection of up to 300 movies in addition to TV shows, music, podcasts, and games. Access to all of the digital content on your mobile device or laptop is included when logged into the Delta Wi-Fi or on the Gogo app. You can also stay connected in the air with iMessage, WhatsApp or Facebook Messenger at no cost. To browse the web while you’re in the air you’ll need to purchase a domestic or global day pass, monthly pass or yearly pass. Prices start at $16. Look forward to surfing at peak internet speeds of up to 15+ Mbps on any aircraft equipped with Gogo 2ku. Tune into the Delta inflight entertainment, grab a glass of craft beer or a cup of Starbucks coffee served onboard and relax. Along with the movies, shows, and games on the Southwest inflight entertainment, messaging on WhatsApp and iMessage are included for every passenger. 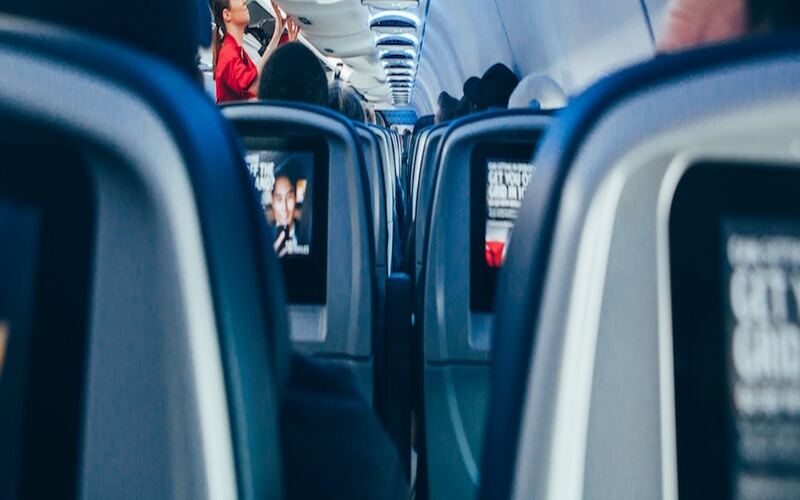 All of the entertainment options available on their seat back screens can also be viewed on your own devices while connected to the inflight Wi-Fi, or by downloading the Southwest app. Onboard your music selection isn’t limited to prepared playlists, with iHeartRadio you get access to thousands of stations and artists. While the selection of films isn’t as large as some other airlines, you can keep up with the latest in news, sports and popular shows on Live TV. All of the Southwest inflight entertainment is included for free but for internet access you can book an all-day Wi-Fi pass for $8. A-List Preferred Members get to surf for free. United inflight entertainment has plenty of options for the traveler who wants to tune out or stay tuned in. Their United Private Screening system features the latest films and TV shows as well as hit music from Vevo. View the same lineup on your smartphone by downloading the United app. You can binge without internet access, but if you’d like to browse the airline offers various Wi-Fi providers based on your specific flight details. If you’re a frequent flyer you can get a monthly subscription for $49. On flights with screens, an additional 100 DirectTV channels and Hit Movies can be yours for $5.99 on flights up to 2 hours, or $7.99 for longer travel times. When you’re ready to unwind in your seat, switch to the Relax mode for tranquil tunes and calming visuals. Content is available in 15 languages with audio descriptions and closed captions as well as other features like text-to-speech, making the United inflight entertainment even more accessible. Lufthansa scored the number 2 spot in last year’s AirHelp Score Global Airline Ranking – and their inflight entertainment features plenty of other award winners! There’s a great selection of award-winning movies and international TV shows, music playlists, audiobooks, and more. In between blockbuster hits, catch up on world news with two free online newspaper or magazine downloads. 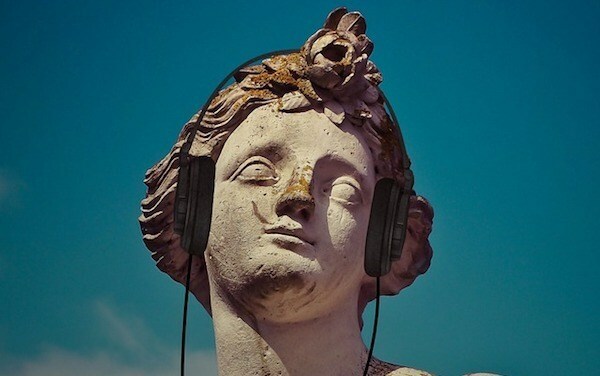 If you need a little help relaxing or falling asleep while in the air, browse the wellbeing audio section. Lufthansa inflight entertainment does include complimentary internet, but it limits your access to weather updates, activities at your destination, the airline’s online shop and connecting flight information. You can pay to expand your browsing options based on whether you want to stream entertainment or only use email and messenger. If you add internet to long-distance flights you’ll also get access to three live TV channels. The award-winning Emirates inflight entertainment can now be viewed on the largest inflight TV screens available. Along with Live TV from a global selection of channels you can watch movies and TV shows in 40 languages on almost 4000 ice channels – an entertainment lover’s dream! You can even create your own video and music playlist to watch once you get on board using the Emirates App. All passengers have access to 20 MB of free Wi-Fi during the first two hours of the flight. You can continue browsing after for a fee based on your route. Certain Emirates Skywards members receive unlimited Wi-Fi for the entire flight. First class passengers can experience their inflight entertainment with exclusive Bowers & Wilkins E1 headphones. With all of these features, it’s no wonder that Emirates has won Skytrax’s Best Inflight Entertainment Award for the last 14 years. Be sure to download your airline’s app or check their website to see all of the inflight entertainment options for your specific flight!